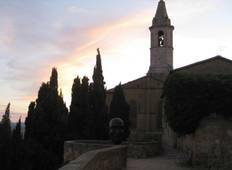 A tour starting in Pienza is a great way to see Italy. "The tour was really good. We enjoyed it and had a great time. The instruction and..."
"The transportation was great we had some really fun nice men. They always loaded..."